DF4 3650 was one of a batch of DF4Bs rebuilt with the more powerful "D" series engine used in the DF4D. 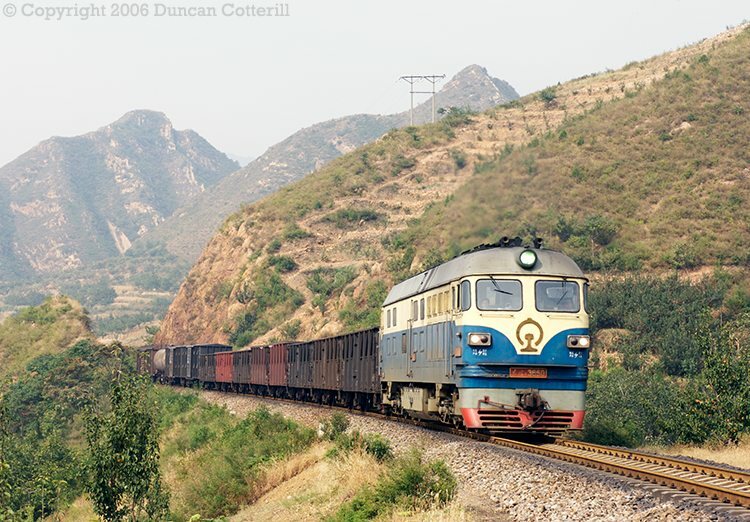 The loco was photographed working an eastbound freight east of Dachengzi on 27 September 2006. The DF4BDs received the same blue and cream livery carried by DF4Ds but a number of "straight" DF4Bs built by Ziyang in recent years received the same colours, so it can't be taken as a foolproof indication that a loco is a DF4BD.